As slinky as sinuous as its namesake, the Cartier La Panthere Body Lotion swathes the body in beautiful fragrance and moisture. The luxurious yet lightweight texture of the lotion makes it a pleasure to use. Massage all over to tone, hydrate and refine the skin in a single step, while enjoying the deeply addictive La Panthere aroma of gardenia and musk. After use, the body feels well pampered and touchably soft, while the La Panthere scent is reinvigorated with every movement. Follow with the La Panthere Eau de Parfum for an even richer fragrance experience. 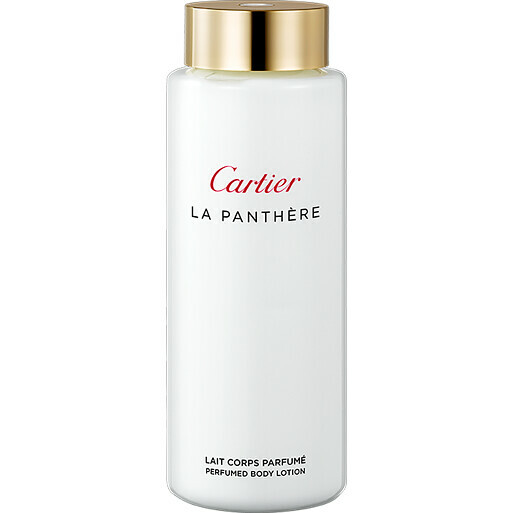 Cartier La Panthere Perfumed Body Lotion 200ml is rated 5.0 out of 5 by 3. Rated 5 out of 5 by karen16 from love this i often think body lotions are better than perfumes as they seem to penetrate your clothing and the scent seems to last longer. i was not disappointed with this one. its is a lovely silky texture and very economical as glides into the skin and of course I love the scent. Rated 5 out of 5 by 2JK6 from Very pleased with purchase. Lovely body cream which is long lasting. My favourite perfume at the moment.